Join the 1,500+ community of students who have taken the course and improved their EQ! 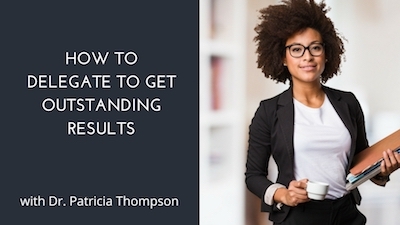 In the course, Dr. Patricia Thompson shares 10 techniques, that have been proven through science, to make you more productive. So what are you waiting for? Get started now, and enjoy a more productive future! If you know that you would benefit from getting better at delegation, you’re in the right place. Author of the New York Times and global bestseller "What Got You Here Won’t Get You There"